Graph : a diagram showing the relation between variable quantities, typically of two variables, each measured along one of a pair of axes at right angles. Tree : a woody perennial plant, typically having a single stem or trunk growing to a considerable height and bearing lateral branches at some distance from the ground. But how can we relate Tree in Computer Science ! 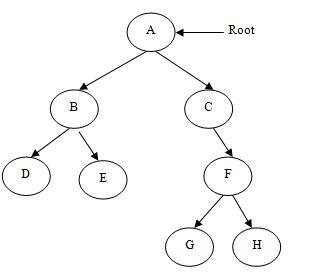 Tree and graphs are datastructures having representation like trees(with root and leaf nodes)and graph (nodes and links) respectively. A Tree is just a restricted form of a Graph. Path Tree is special form of graph i.e. circuits as well as can have self-loops. Directed Acyclic Graphs is a kind of directed graph that have no cycles. 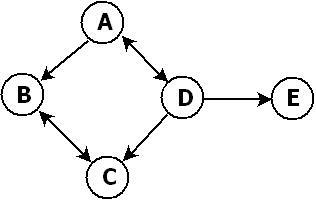 Graph can be Cyclic or Acyclic. Coloring of maps, in OR (PERT & CPM), algorithms, Graph coloring, job scheduling, etc. No. of edges Tree always has n-1 edges. In Graph, no. of edges depend on the graph. Model Tree is a hierarchical model. Graph is a network model. Difference in Coding Formats ? There is no change in coding format but there is change in logic the way programs are written.